Water Odyssey™, a PlayCore company, is a leading designer and manufacturer of aquatic play equipment for spray parks and aquatic facilities. Water Odyssey works with architects, consultants and end-users around the world to create unique aquatic play experiences that promote inclusive play, socialization, learning and family fun. Planning for your next spray park or aquatic play destination? 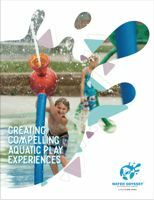 Download our comprehensive aquatic play equipment catalog to get ideas on products, themes, and equipment you’ll need for the successful completion of your next project. Make sure to contact us. We will help you every step of the way.